An essential part of any vacation is food. Great food can make or break a trip, regardless of where you are. Lucky for Door County visitors, there are plenty of great restaurants in and near Egg Harbor to keep you and your stomach happy on your Wisconsin getaway. If you want to see more options for good eats, request access to our free Vacation Guide! Village Cafe is an artsy eatery that offers everything you need for an enjoyable meal including great food, a fun atmosphere, a refreshing beer and wine list, and a homemade dessert menu. Their carrot cake is to die for, the food is always fresh and delicious, and all the artwork displayed in the shop is available for you to take home! If you’re on the lookout for a unique dining experience, look no further than Parador. This tapas restaurant offers a dish that is sure to please your taste buds. The restaurant is locally owned by a couple whose passion for food is inspired by global recipes. It also doesn’t hurt that they make some of the best sangria that you’ll ever taste. For a taste of top-notch barbeque, head to Casey’s BBQ & Smokehouse. This casual barbeque joint concocts mouthwatering Southern flavors by smoking their meats with cherry wood for a mild smoky flavor. Try one of their specialty pulled pork sandwiches or prime rib platters. The highlights of the show are Casey’s BBQ plates, especially the baby back ribs. Moving to Egg Harbor from Ellison Bay for 2019, the Fireside Restaurant is a chef owned and operated Wisconsin supper club with a Cajun attitude. Enjoy the highest quality, most creative menu in Door County. This classic supper club has all your traditional favorites with a fish fry on Friday and prime rib on Saturday’s. And it is home to the big easy jambalaya, shrimp monterey and goat cheese grits, along with Door County’s original chicken and waffles. The Char family will welcome you! If you’re looking for a place for a romantic date night with your special someone, Alexander’s is a perfect choice. This elegant dining experience takes you on a fantastic culinary journey, with a menu featuring premium cuts of meat, fresh seafood, and other great selections. Start your meal with succulent shrimp tempura or savory baked artichoke gorgonzola. For your main course, enjoy a tender steak or local broiled Door County whitefish. Finish off your special night with a slice of decadent warm chocolate cake or delicate tiramisu. Alexander’s also holds a classy champagne brunch every Sunday. Now with a new, third location in Egg Harbor, The Wild Tomato is the best place to eat pizza in Door County. Their menu has an assortment of salads, sandwiches, and specialty wood-fired pies. Try the delicious veggie pizza, piled high with fresh veggies and Wisconsin goat cheese and mozzarella. You can also create your own yummy pizza creation from their extensive list of locally grown ingredients. Since the restaurant’s opening in 2000, Mr. Helsinki has become one of the best eateries in Fish Creek. Alongside a Creole and Cajun-inspired dinner menu, they also serve a broad wine menu that features over 30 different wines. Mr. Helsinki’s aims to provide you with an exciting and interesting dining experience using a combination of unique homemade recipes made with fresh, high-quality ingredients, all in a pleasant and friendly atmosphere. Don’t see anything on this list that satisfies your taste buds? Try these other great restaurants in Door County! The Ashbrooke Hotel is the perfect Door County destination for a memorable and romantic getaway. 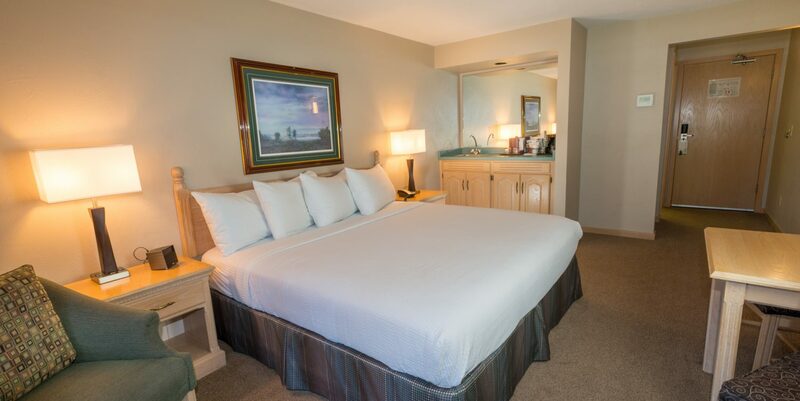 Our luxurious accommodations feature only the best amenities that make your stay as comfortable as possible. Whether you’re sampling the many wonderful places to eat, exploring the enchanting wilderness, or just relaxing with your loved one, there is something for everyone to enjoy in Door County. Check our availability to start planning your trip today! For more information on the best things to do and places to see, request your free Vacation Guide!